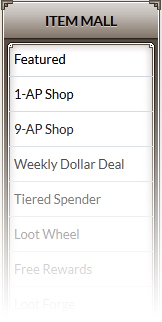 You'll notice that the Eden Eternal website has a handy-dandy Item Mall button on the menu bar near the top of the page. 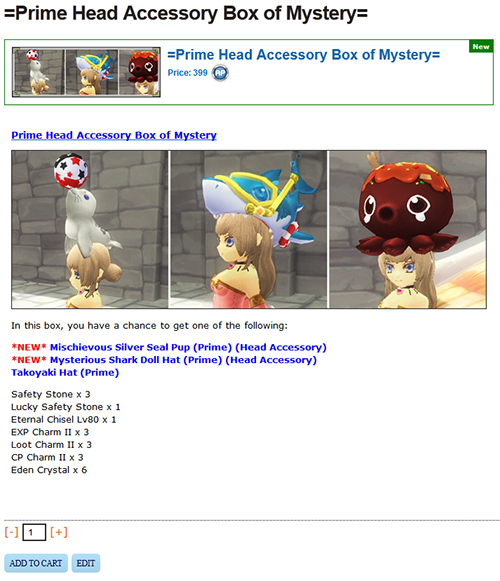 You can Navigate through the items by using the category list on the left hand side of the page. Tabs along the top of the page will show subsections of the general category you're in. For example, if you click to the Fashion category, its tabbed subsections will include Body, Head, Weapon, and Outfit Dye. Mousing over items will display their descriptions, so you can get an idea of what each item actually does. Click the item to visit its item page, where you can find more information or add the item to your cart. Adding the item to your cart takes you to your cart page. 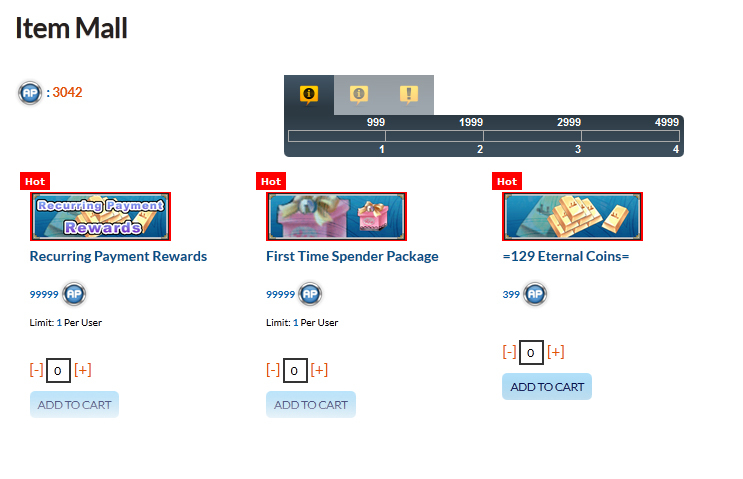 Your cart will list everything you want to purchase, as well as the total amount. 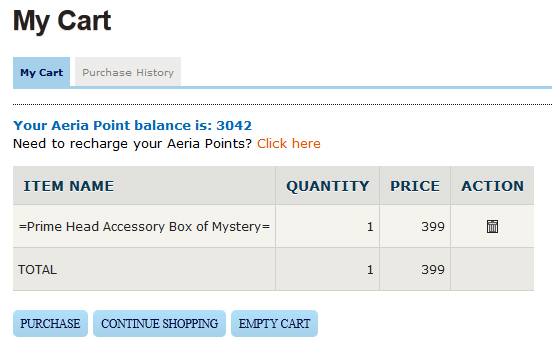 Click Purchase to complete your transaction and have the item added to your Eden Eternal account. If you are currently logged into Eden Eternal, you'll need to log out and then back in again to receive your item.